Asgard Windows is an authorised supplier and installer of Apeer Composite Doors. With a complete range of front doors to suit all needs, Apeer PVC doors combine style, security and insulation for your perfect front door. The Apeer Door comes in 3 Door Types. The Main Apeer Door Range,The New Modo Range & The Diamond Door Range. 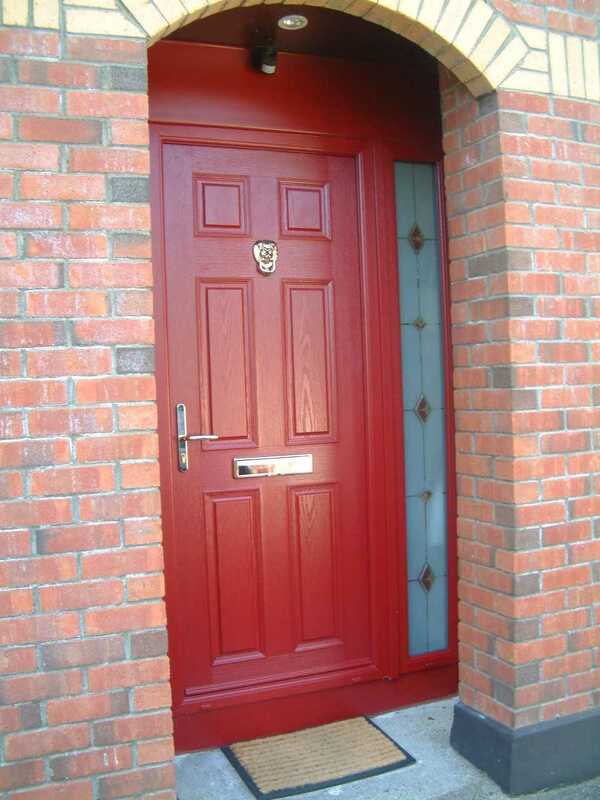 Made from fiberglass (GRP or glass reinforced polyester) and high-density polyurethane materials and with extremely efficient draught excluding double rebate, all Apeer70 composite doors can be specified to achieve the maximum A rating. If you want to include glazing in your front door we can use toughened, triple insulated, low E, gas filled glass units, so you can benefit from the extra sun light without having to compromise greatly on your door"s safety or thermal performance. These units also come complete with the Q Seal warm edge Super Spacer® system. This non-conductive double-sealed spacing inside the panes of glass significantly improves the thermal performance and durability of the glazing. The best designs always provide a practical but elegant solution to a serious problem. Using a unique combination of some of the strongest and most robust materials in the world including steel, GRP, toughened triple or double glazed units and high density polyurethane, every Apeer70 front door has security at its very core. The Apeer 70 doorsets are constructed with an all-GRP inner sash, replacing the u-PVC sash with fibre glass. This means the entire unit is now made from one material, effectively eliminating any possibility of movement or distortion – a problem with other types of doors and the cause of remedial callbacks throughout the industry. A multi-point locking system is also fitted as standard to every Apeer front door, increasing safety in your home. In Apeer doors, every last detail is carefully designed to make a real difference. So when we apply the finishing touches, we put as much consideration and effort into things like glazing trims and moldings, as we do the overall door finish. Details like our timber-effect raised moldings and handmade, triple or double insulated decorative glass units might be harder to create, but they are what makes an Apeer door look so unique. The manufacturing process provides the flexibility to colour-match your complete door entrance system, inside and outside. Colour choices are not restricted to white frames, or to a white only finish on the inside. Choose your door colour, match the door frames, rebate, weather deflector and internal finish. Integrating glass into your Apeer front door is a simple way to add personality and light to your living space. All of our beveled glass, fused tile and sandblasted designs are hand crafted by our decorative glass experts. Each design is then integrated into our unique triple or double-glazed units and then presented in the door frame by a matching timber-effect and raised internal molding trim. 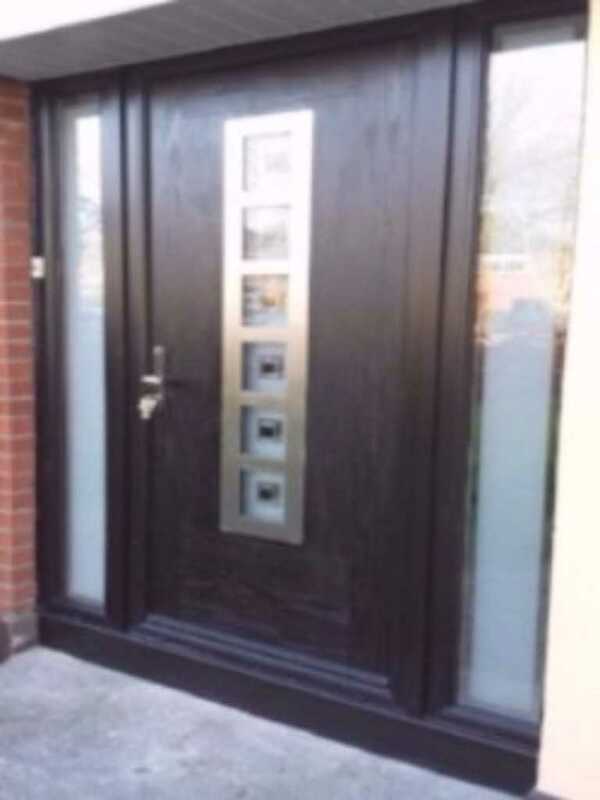 We have ensured that these glazed units can only be accessed from the inside, which both further enhances the security features of your front door and facilitates redecoration or replacements. Our low-maintenance, highly robust colour finish is designed to stay looking good year after year, both on the outside and on the inside. Choose the perfect colour for the exterior of your door and match it with the perfect colour for the inside. Plus, for absolute consistency even when the door is open, we carefully colour-match every edge. Apeer "Diamond" composite doors are a new single rebate GRP door providing a refreshingly new outlook on the composite door market with a choice of sleek and sophisticated door styles to suit every home. Each style has its own range of exciting glass designs featuring a blend of fused tiles, sandblasting and glass bevels complemented with resin lead and coloured film. Diamond doors boast a timber-like grain on the door surface which can be finished in a range of standard colours. We offer Diamond doors with a choice of colour on the outside and white on the inside, or colour both sides. 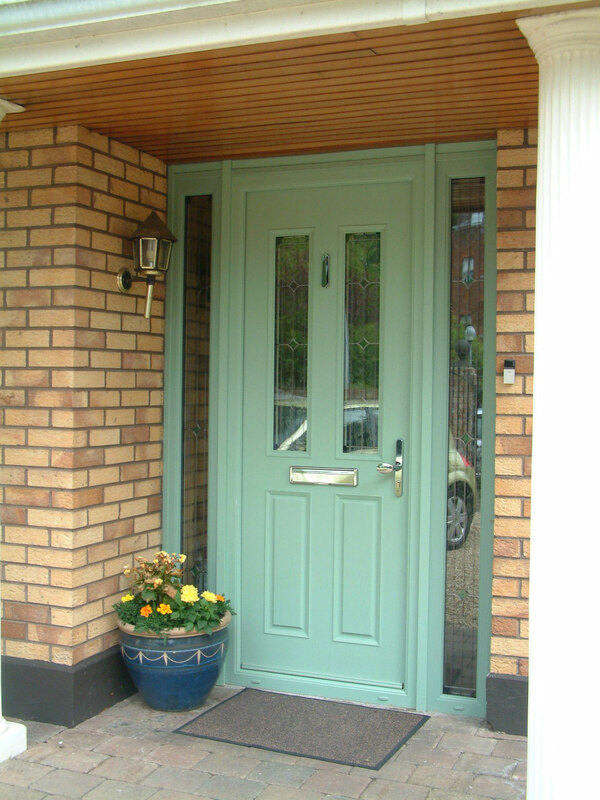 The PVC door frames are supplied in the same colour selection as the door.